Want to keep your patio area protected in all weathers with a professionally fitted in Peterborough? Armor Shutters supplies, fits and installs canopies for your home and business. Just like patio awnings, you have a wide range of canopies to choose from. Whatever the weather, your new canopy will protect you from all of the elements, and are ideal when hosting a barbecue or looking to protect your garden furniture. Getting a canopy installed for your home increases its overall value and creates an overall classy appeal. Additionally, it protects your home from harsh sun rays and other weather changes. Rain or shine you can be sure not to have your outside enjoyment spoilt! 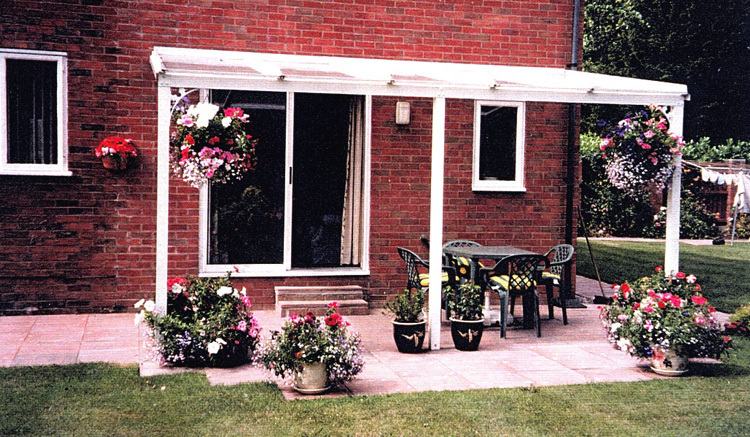 For more details on our canopies, give us a call or drop in our office at Peterborough. 01733 342 888 for a free quote.